A direct replacement neck for left-handed Stratocaster guitars. The Mighty Mite MM2900L is a replacement neck left-handed Stratocaster guitars. 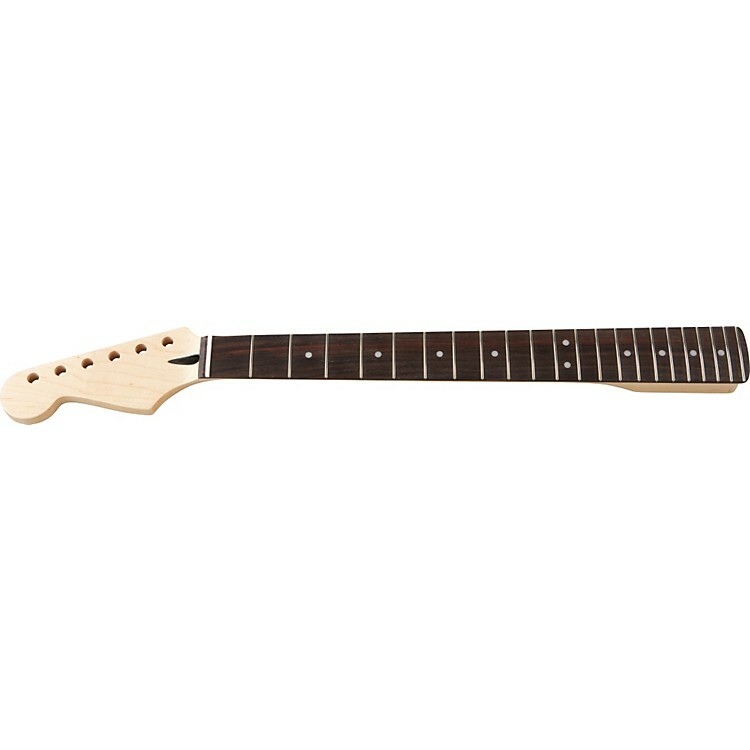 The guitar neck is constructed of maple and has a rosewood fingerboard fitted with 22 medium frets and given an oil-based finish. Since the 1970's Mighty Mite has manufactured custom and replacement guitar parts for luthiers, repairmen, and guitarists who can't wait to hot-rod their lefty Fender Stratocaster or similar style guitar. Fix your favorite guitar. Own this guitar neck today.